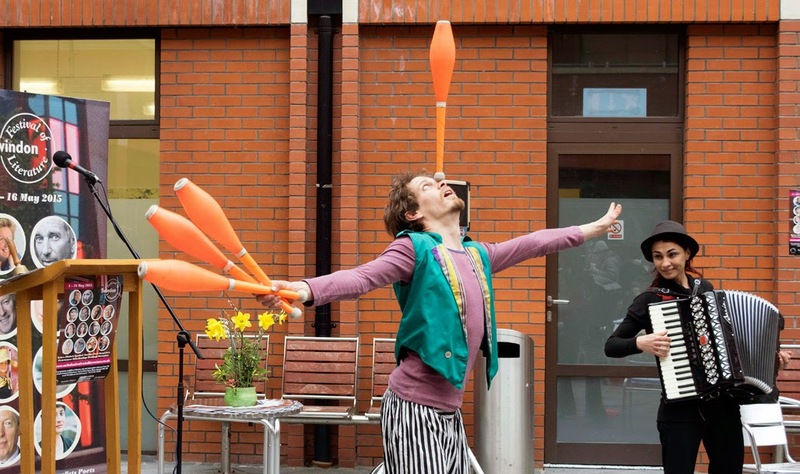 About to Launch Festival Number Twenty-Two! Thursday 19th March was a decidedly chilly but dry day. 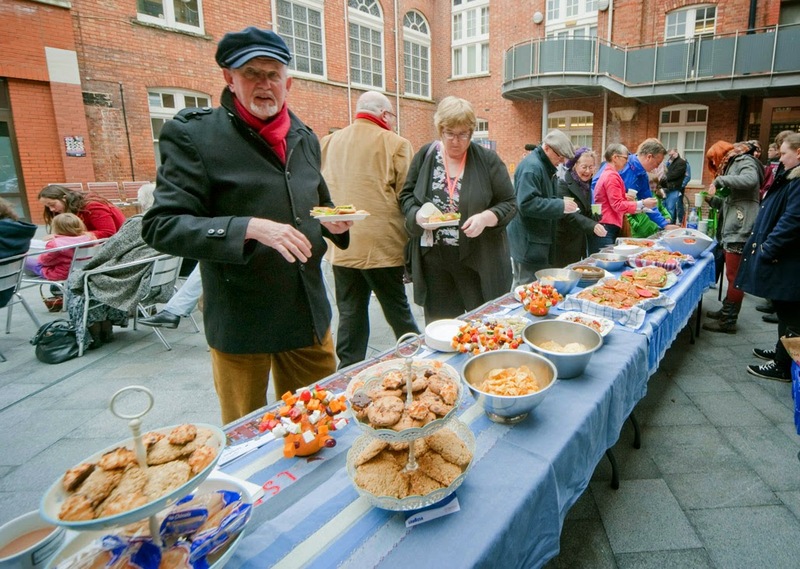 In the morning, Martin and crew set up this year’s banners in the Central Library courtyard; Andrea and her team put out the tasty spread; and I put on my gloves. 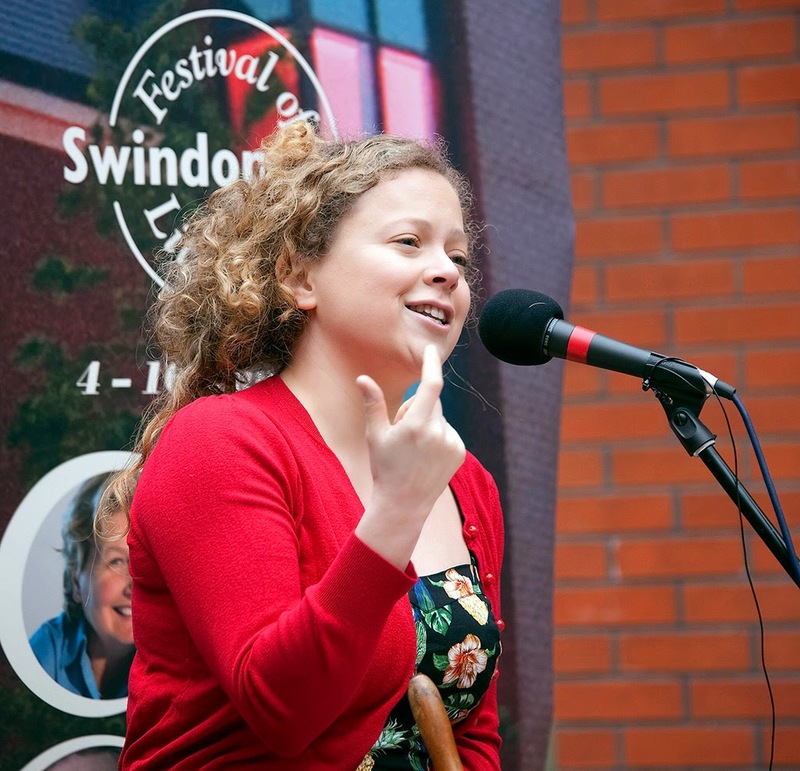 At midday, as the Town Hall clock struck twelve, the programme for this year’s Swindon Festival was unveiled. Yay! 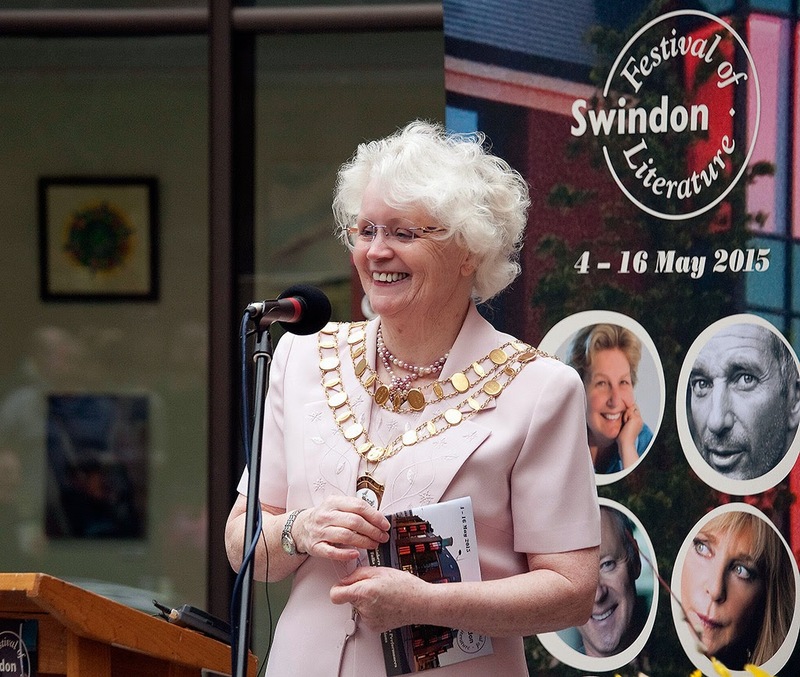 To help us celebrate, Rachel told a story about why Truth and Story go hand in hand; Jacob and Ilaria showed that good feelings come when the body is in motion; and Teresa Page, the Mayor of Swindon, proved that spontaneity in speech is no bad thing. We had a good time. If you want to, can you can watch it here. We expect to have an ever better time from 4th to 16th May, day after day after day. 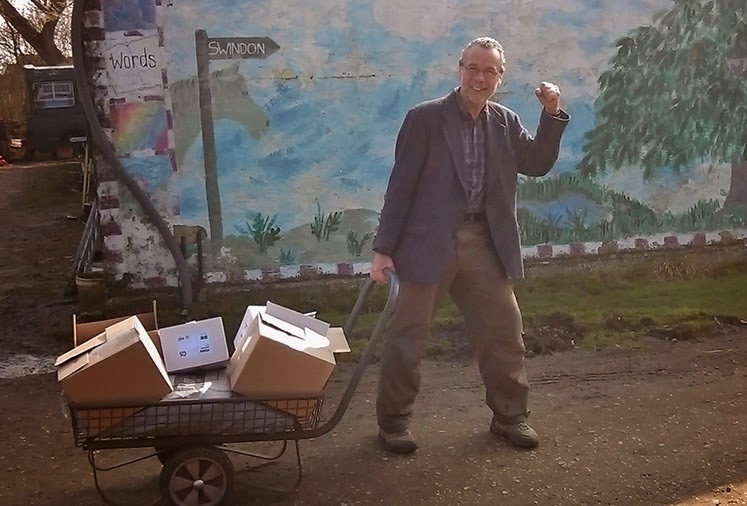 Today, on a spring-like Tuesday afternoon, the Acorn Press van pulled into the farmyard and, hot off the press, disgorged its load of fifty boxes of Festival programmes and posters. Opening a box was like opening a present, and what a present it was. Wow! The cover has worked. It’s striking, unusual, and celebrates Swindon and its Central Library. And the contents are celebratory too: a celebration of ideas. Terrific! 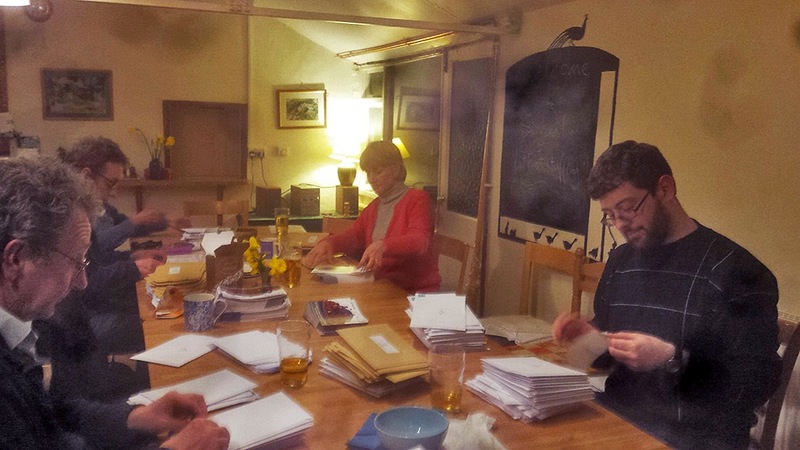 Tonight, six helpers, stuffing envelopes in the woodstove-warmed ex-cowshed, agreed. We all love the programme, from the outside and the inside, and hope that you will too. At midday on Thursday 19th March, launch time, Festival followers can see if they do. It’s been a good Tuesday. And Swindon Town won, away. Looking forward to meeting in May! PS. And now, a cartload of programmes is on its way to the local post office, from where they will be winging their way to you!